Scores of dispensaries are hoping to open in Illinois later this year, but they might face an immense challenge right out of the gate: a lack of customers. Illinois has approved just 2,500 patients for MMJ cards since opening the registry nearly nine months ago, which one attorney with ties to the medical marijuana industry called “embarrassingly low.” That’s a far cry from the state’s initial estimate of 75,000 potential patients and much less than many entrepreneurs had expected at this point. To be sure, Illinois likely will see a surge in patient numbers as dispensaries launch, as has happened in other states. And officials appear close to approving new qualifying medical conditions, which will certainly boost the patient base. But the numbers to date are so low that several insiders are worried about the future of the state’s entire MMJ industry. Under Illinois law, the medical cannabis program will ultimately license 60 dispensaries and 21 cultivators, so the patient count will have to be in the tens of thousands in order to support all those businesses. Furthermore, Mayes said he’s “incredibly worried” that the low patient count could actually jeopardize the future of the entire industry because Illinois’ MMJ system is set up as a pilot program that will expire at the end of 2017. If the state doesn’t get enough in tax revenue, or if the program isn’t as widespread and successful as many originally expected it to be, then longstanding opposition to the program (from Gov. Bruce Rauner, for instance) could torpedo an extension. The low patient count has already led at least one company to turn a cultivation license it won back over to the state, and if the customer base doesn’t expand, other licensees could follow suit. There are several issues in Illinois that are likely combining to drive down the current patient count. 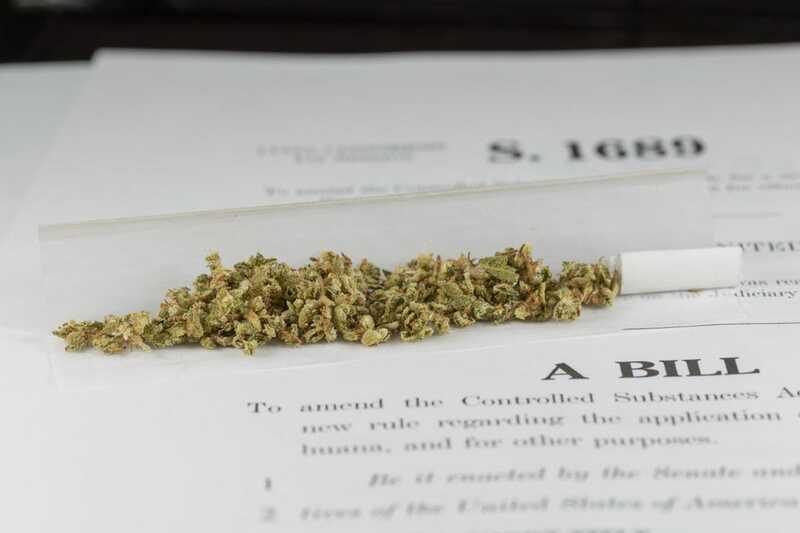 For one thing, since no dispensaries are yet open and no MMJ available to patients, many potential recipients probably haven’t bothered to undertake the mountain of paperwork necessary to qualify for the state registry. Also, similar to what’s happening in Minnesota, a reluctance on the part of many physicians to recommend cannabis for their patients may also be playing a role in the low turnout, said Julie Stone, co-founder of the Cannabis Association of Illinois. Mayes said another big obstacle is a lack of accessibility for a lot of patients with ailments that don’t qualify them for MMJ. He noted that the Illinois Medical Cannabis Advisory Board last month recommended adding 11 more medical conditions to the state’s list for those who can receive MMJ, but that recommendation hasn’t been approved by the director of the department of health yet. A spokeswoman for the agency said she expects the list will get the green light by the end of July. “The program will fail if a lot of these conditions aren’t added, and if the patient registry requirements aren’t loosened up a little bit,” Mayes said. Zerman, Stone and others are concentrating on public outreach and educational campaigns for both patients and physicians as to the medical benefits of cannabis, and are hoping that will help bolster patient numbers as the months wear on. For example, Zerman said, his team is coordinating a free monthly informational seminar on MMJ in the Oak Park Library, which is open to all. One was held Wednesday evening this week, he said. Stone said more dispensaries probably need to take similar steps to what Zerman’s working on. Possibly even a larger problem, however, is that the required fingerprinting and federal background check for the patient registry is a major disincentive for potential MMJ recipients. “The fingerprinting and felony background checks are just killing the program,” Mayes said. That will have to be fixed by the state Legislature, Mayes said, and it’s unclear if any such attempt will be undertaken next year. Stone, Zerman and Mayes also all agreed that once dispensaries begin to actually open their doors and start serving the public, more patients will flock to the program. “Nobody really believes it until the first dispensary opens. At that point, patients will come. The patients are here, it’s a matter of getting them registered,” Stone said. When that may be, however, is still very much up in the air. The general consensus is that dispensaries will likely start opening either in the fall or early winter this year.